Washington is among a dozen states suggested in Colorado Republican Sen. Cory Gardner's bill as potential new homes for the U.S. Bureau of Land Management headquarters. DENVER (AP) — From its headquarters in Washington, D.C., the U.S. Bureau of Land Management oversees some of the nation’s most prized natural resources: vast expanses of public lands rich in oil, gas, coal, grazing for livestock, habitat for wildlife, hunting ranges, fishing streams and hiking trails. But more than 99 percent of that land is in 12 Western states, hundreds of miles from the nation’s capital. Some Western politicians — both Republicans and Democrats — are asking why the bureau’s headquarters isn’t in the West as well. “You’re dealing with an agency that basically has no business in Washington, D.C.,” said Colorado Republican Sen. Cory Gardner, who introduced a bill to move the headquarters to any of those dozen states: Alaska, Arizona, California, Colorado, Idaho, Montana, Nevada, New Mexico, Oregon, Utah, Washington or Wyoming. The Bureau of Land Management manages a combined 385,000 square miles (997,000 square kilometers) in those states. Colorado Republican Rep. Scott Tipton introduced a similar measure in the House, and three Democrats signed up as co-sponsors: Reps. Kyrsten Sinema of Arizona, Jared Polis of Colorado and Ed Perlmutter of Colorado. Some Westerners have long argued federal land managers should be closer to the land they oversee, saying Washington doesn’t understand the region. Now they have a powerful ally in Interior Secretary Ryan Zinke, a Montanan who is leading President Donald Trump’s charge to roll back environmental regulations and encourage energy development on public land. Zinke said in September he wants to move much of the Interior Department’s decision-making to the West, including the Bureau of Land Management, which is part of the agency. The Washington Post reported last month Zinke’s plan includes dividing his department’s regions along river systems and other natural features instead of state borders, and using them to restructure oversight. A big part of the bureau’s job is to lease drilling, mining and grazing rights on public land to private companies and individuals. That puts it at the center of a heated national debate over how those lands should be managed, and by whom. — Much of Bears Ears National Monument in Utah, created by President Barack Obama and greatly reduced by Trump, is on Bureau of Land Management land. 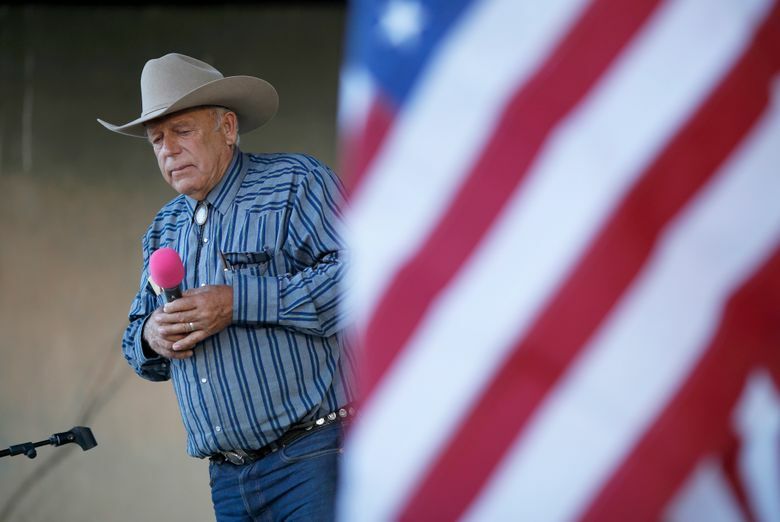 — Rancher Cliven Bundy’s long battle against federal control of public land, which culminated in a 2014 armed standoff in Nevada, began on bureau acreage. 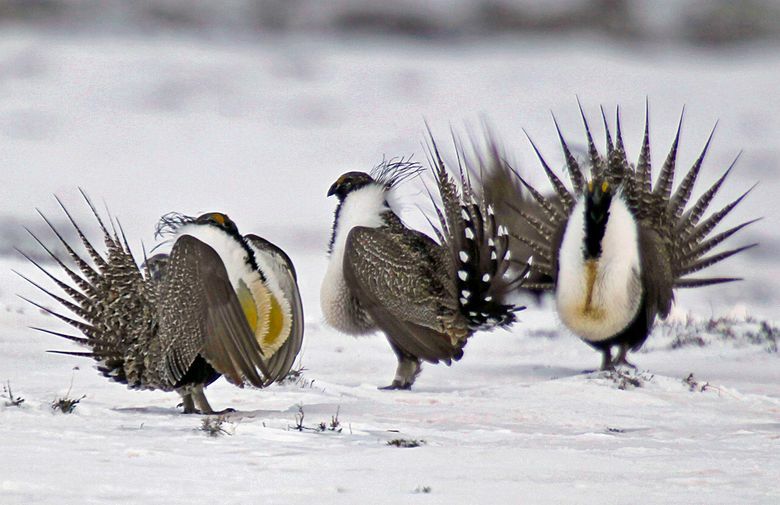 — More than 50,000 square miles (123,000 square kilometers) of Bureau of Land Management land in the West is at the heart of a debate among conservationists, ranchers and energy companies over how much protection to give the shrinking population of the greater sage grouse, a ground-dwelling bird. The bureau manages more public land than any other federal agency, ranging from about 1 square mile (3 square kilometers) in Virginia to nearly 113,000 square miles (293,000 square kilometers) in Alaska. That doesn’t include national parks or national forests, which are managed by other agencies. It has about 9,000 employees, with fewer than 400 in Washington. The rest are scattered among 140 state, district or field offices. In Nevada, where the Bureau of Land Management manages 66 percent of the land — a bigger share than any other state — Republican U.S. Rep. Mark Amodei called the idea intriguing but stopped short of endorsing it. “I’m excited about the fact that they’re looking at it,” he said. Amodei said he has spoken with bureau officials in Washington who know so little about Nevada they thought the land under a highway interchange was wildlife habitat. Few say moving the bureau’s headquarters would tilt its decision-making toward commercial use or preservation and recreation. But some environmental groups question whether it would produce real benefits. Aaron Weiss, media director for the Center for Western Priorities, said Zinke has been limiting opportunities for local comment on national monuments and BLM planning, and moving the headquarters West wouldn’t reverse that. Weiss also suggested Zinke could use a headquarters move as a cover to get rid of employees he considers disloyal. “We absolutely question his motives,” Weiss said. Zinke’s spokeswoman, Heather Swift, said Weiss’s claims are false. 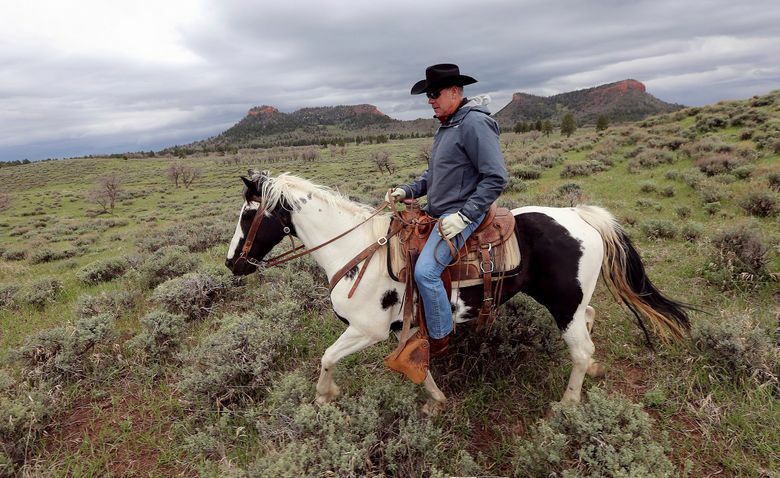 More than 2 million people submitted comments during the Interior Department review of Bears Ears and other national monuments, and Zinke held more than 60 meetings with local people, she said. Zinke doesn’t believe his proposed reorganization will result in job cuts, Swift said. Athan Manuel, director of the Sierra Club’s public lands program, said the Bureau of Land Management is already decentralized, and moving the headquarters would waste money. Some Bureau of Land Management retirees also are skeptical of the move. The bureau needs a strong presence in Washington for budget and policy talks, said Steve Ellis, who was the agency’s deputy director when he retired in 2016 after 38 years in civil service, both in Washington and the West.